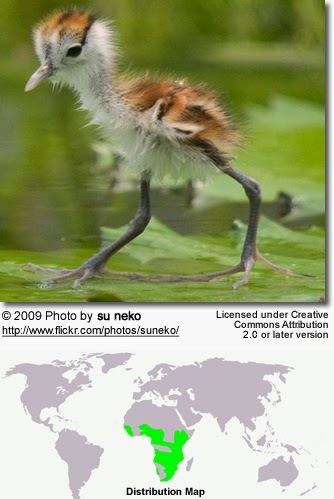 Labels: Aves (birds), Aves (birds)., bird, Curiosity Animals, Rivers., seas and rivers, seas and rivers. 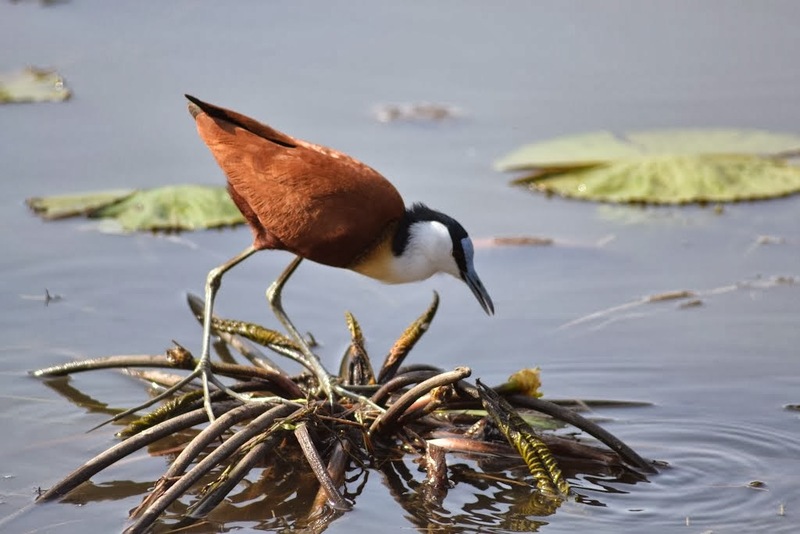 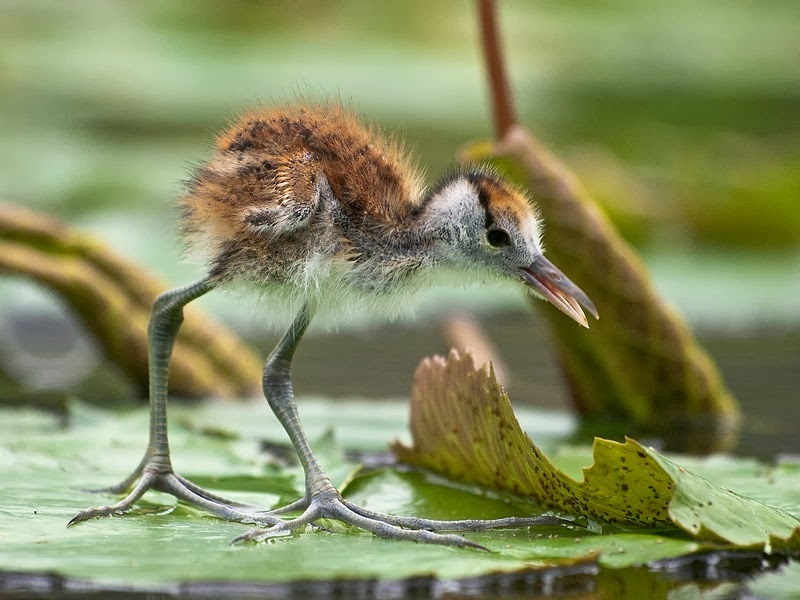 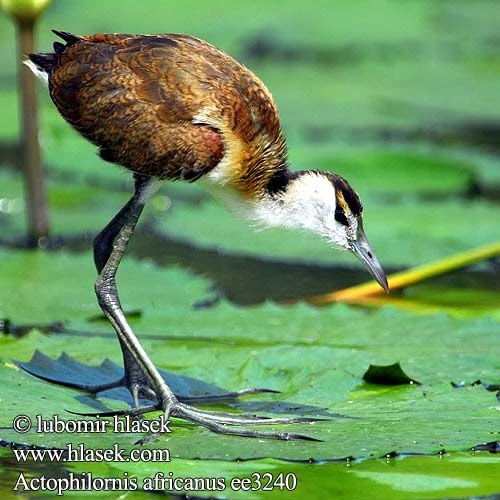 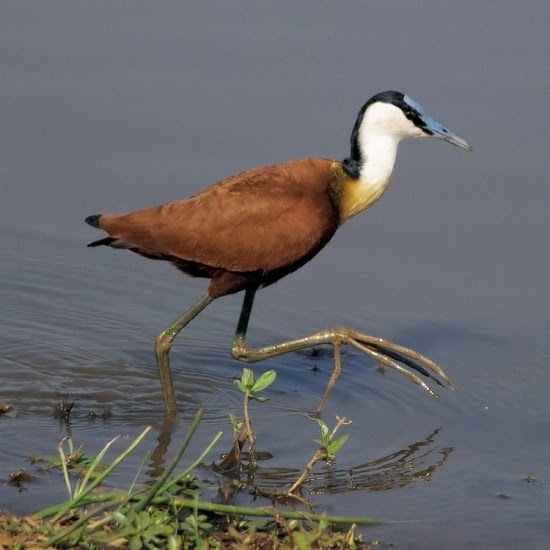 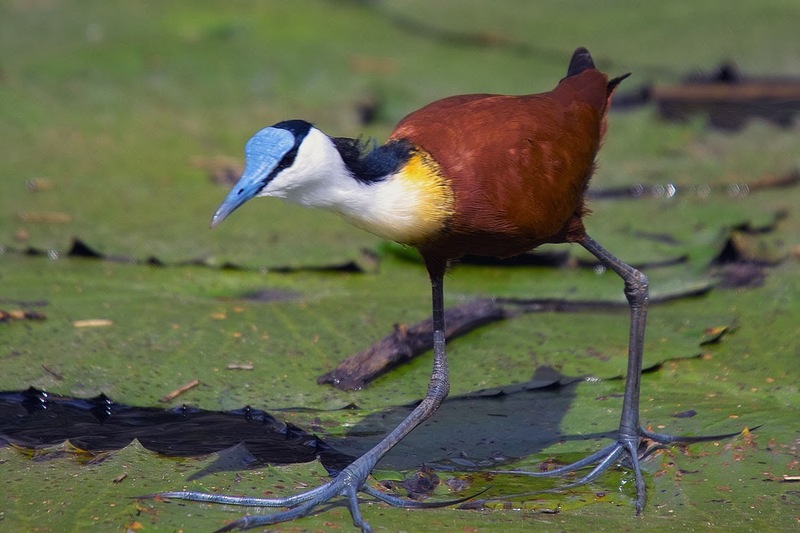 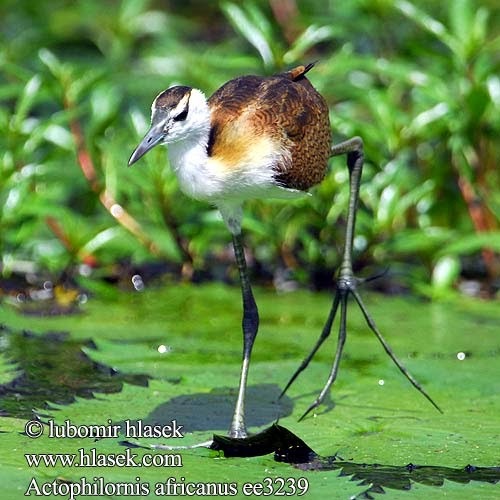 African Jacanas (Actophilornis africanus) are waders in the family Jacanidae, identifiable by long toes and long claws that enable them to walk on floating vegetation in shallow lakes, their preferred habitat. 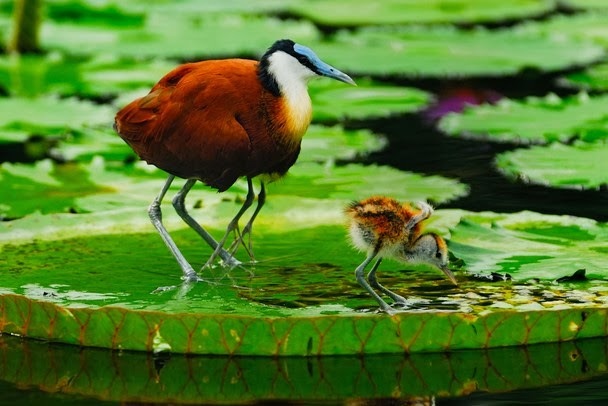 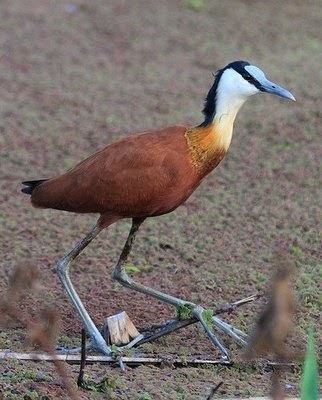 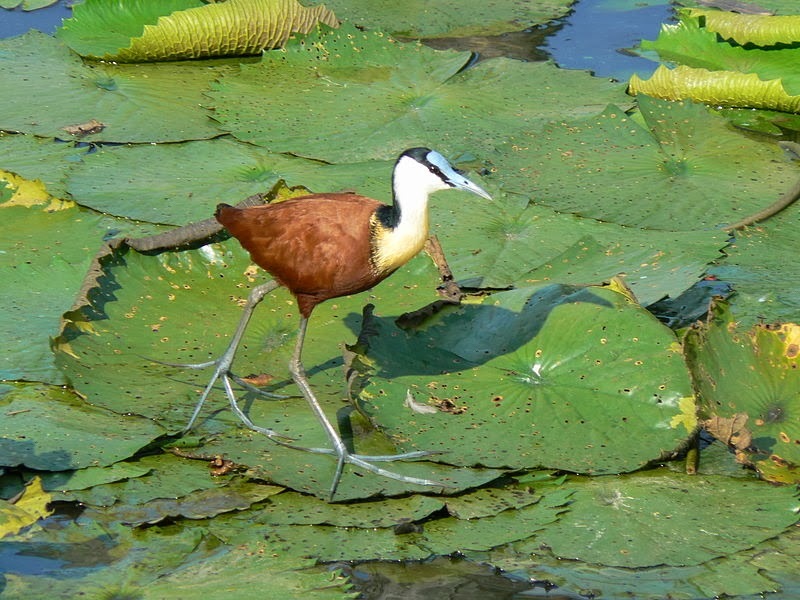 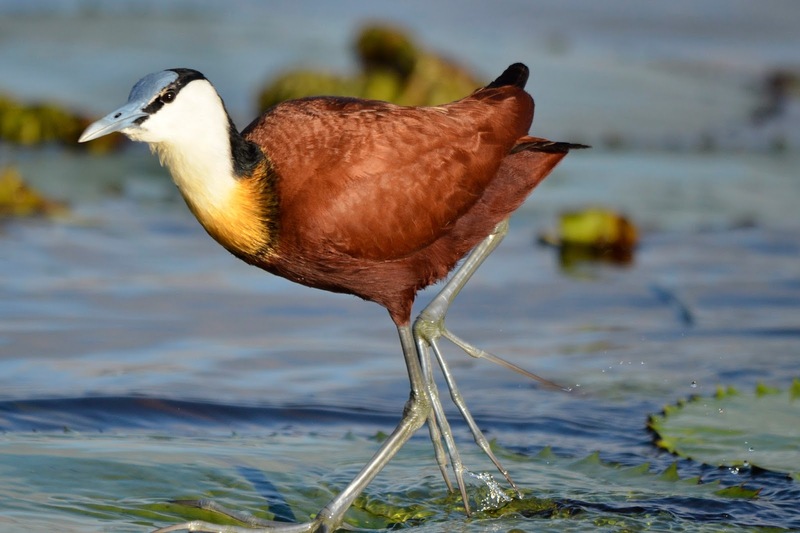 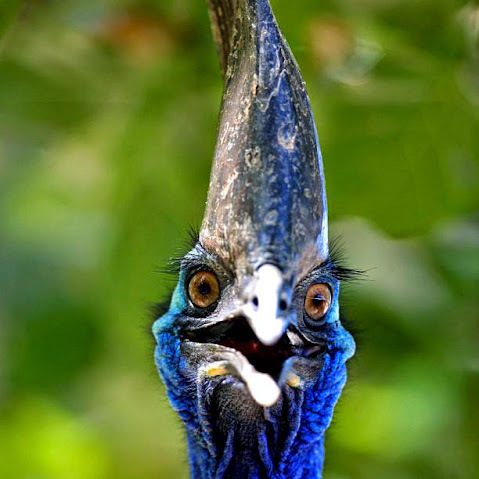 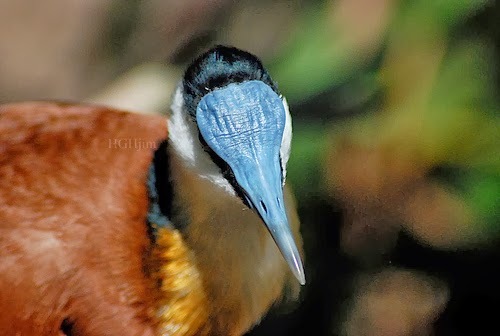 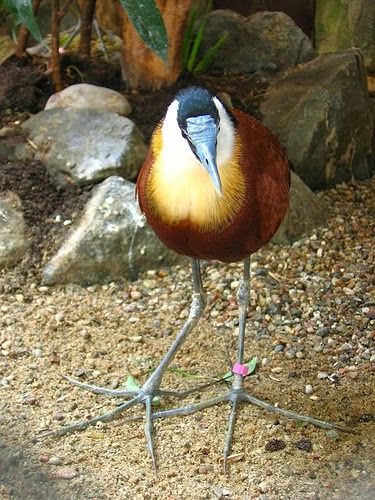 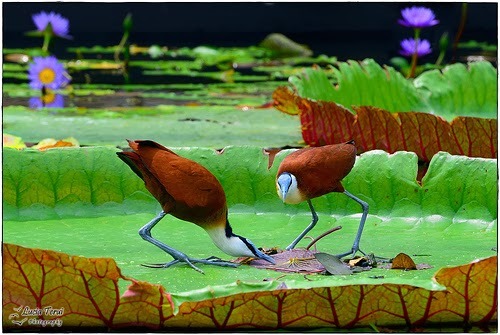 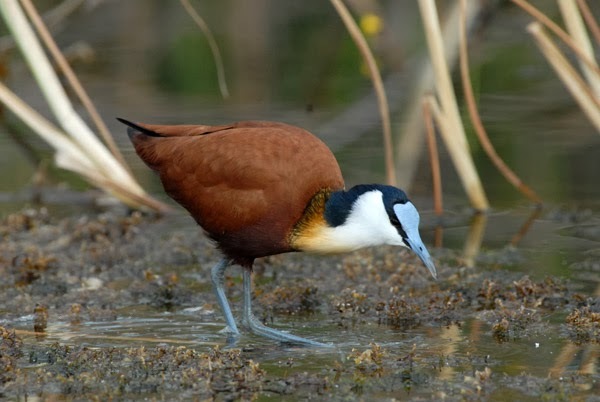 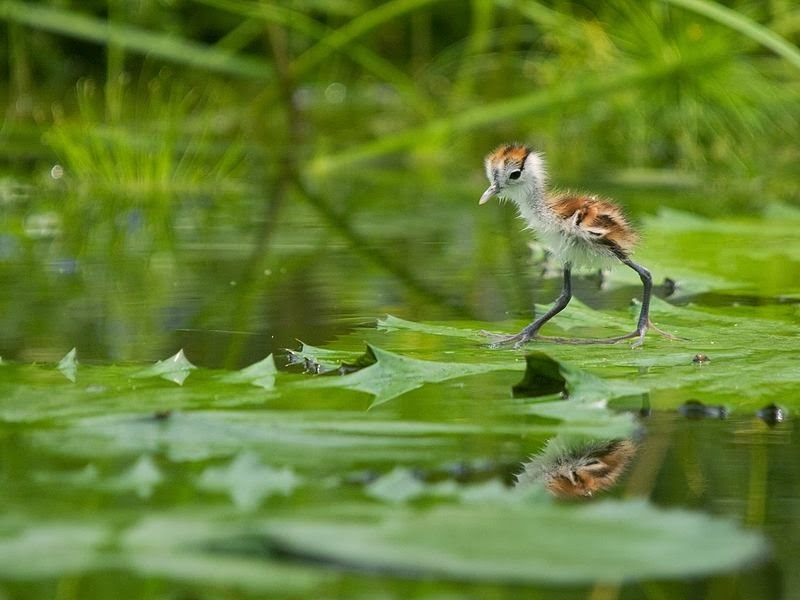 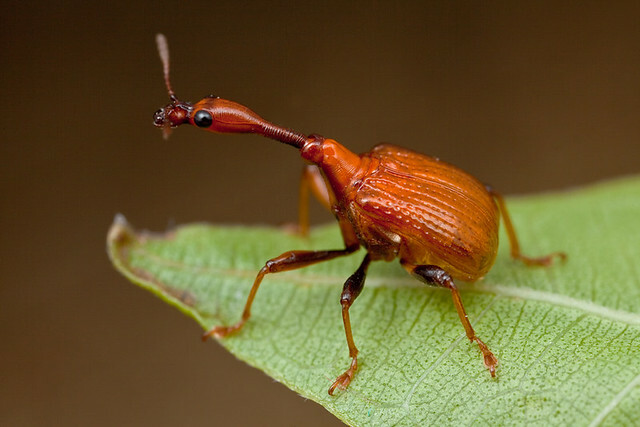 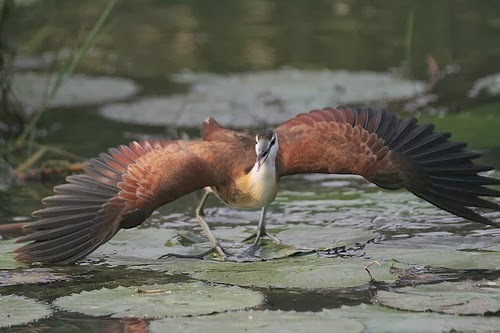 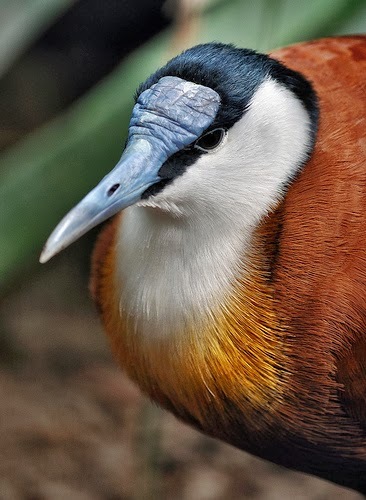 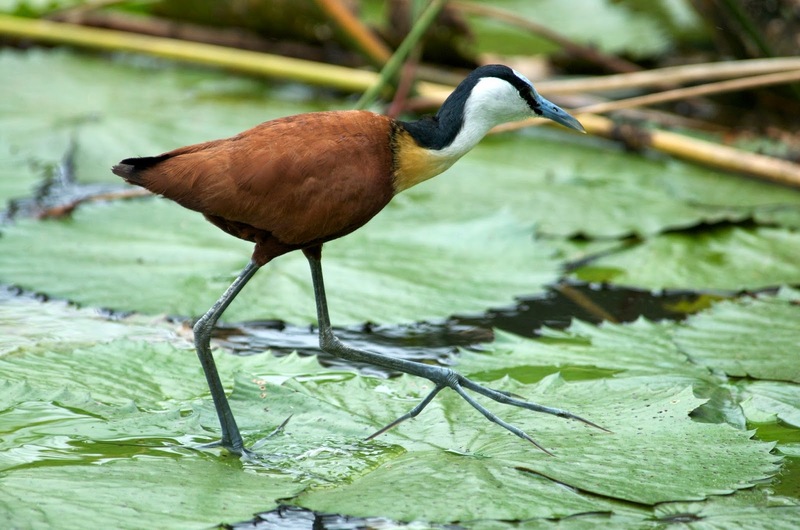 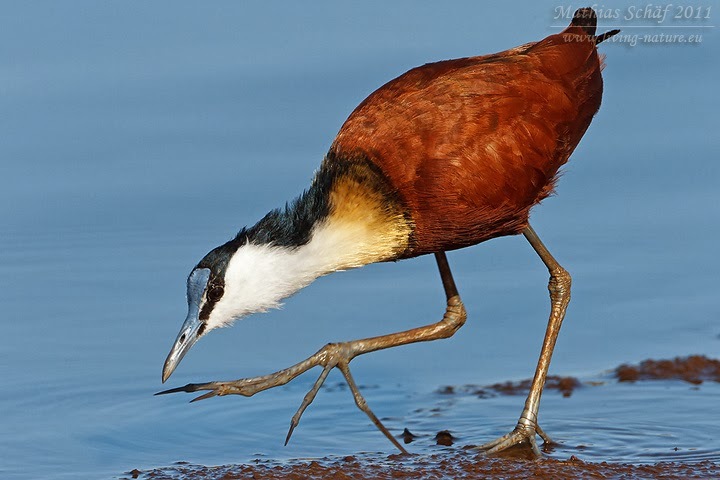 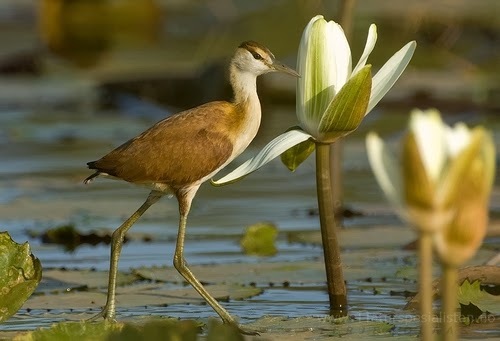 Jacanas are found worldwide within the tropical zone, and this species is found in sub-saharan Africa. 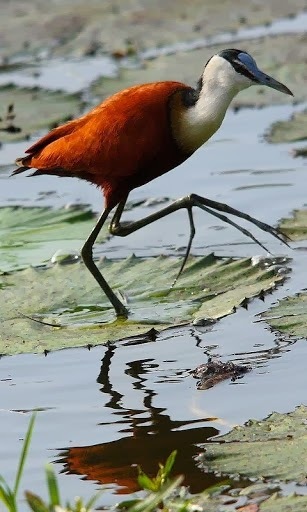 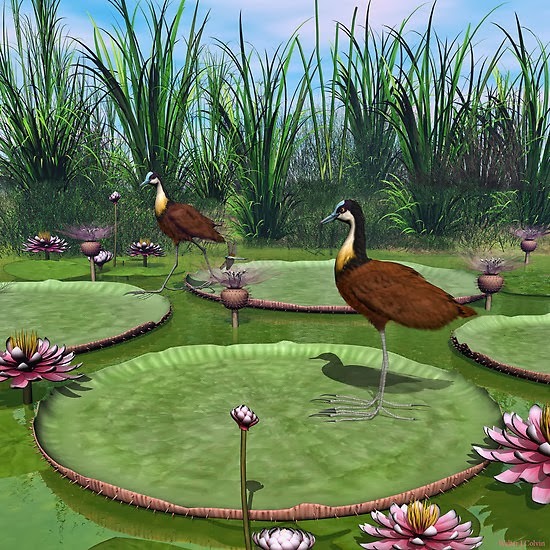 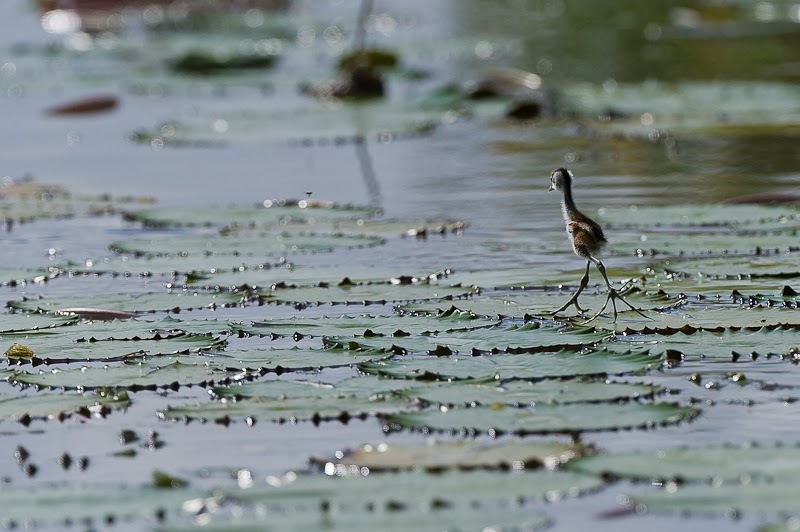 For the origin and pronunciation of the name, see jacana.